There are number of causes that are dear to my heart, and Anglo Rights is one of them. I grew up as an anglophone in Quebec City. I saw the devastation that Bill 101 did to our community. I also felt the total unfairness of Bill 101, especially since Anglos in Quebec City were not the problem. 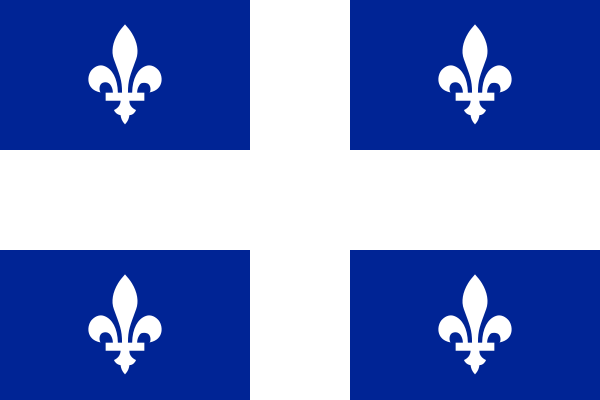 And so I love reading No Dogs or Anglophones, a blog dedicated to language politics in Quebec. I like to comment, but I often repeat myself, and heck I'll be writing essays if I do, so I'll use my own blog to do so. The main message I want to send to the Anglo community is this: Identity politics does not work for Anglo-Quebeckers. I repeat: Identity politics does not work for Anglo-Quebeckers. Identity politics does not work for any group that has traditionally been the elite. Who are the elite? White Anglo-Saxon Protestant Males. Notice the Anglo-Saxon there? That's Anglo-Quebeckers. It makes no difference if you're Irish Catholic, if you're Anglo, you're Anglo-Saxon, even if your last name is Italian. Those who might be persuaded by identity politics don't care about your problems if you are part of that elite. That's why feminists don't take male problems seriously, secularists don't take Christian problems seriously, and multiculturalists don't take white problems seriously. That your rights are being trampled on is of no concern to them. You got that? Anglo Rights do not matter. Right-wingers in English Canada won't listen to Anglo-Quebeckers whining because they don't like identity politics, and their answer is: if you don't like it, then leave. Identity politics also doesn't work because Anglo-Quebeckers are not an ethnic group. 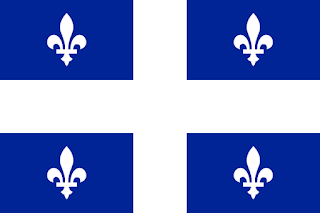 You will rarely find an anglophone in Quebec whose grandparents or great-grand parents were born and raised in Quebec. When I think back to all the kids I knew in high school, of those whose parentage I was familiar with, almost all derived their Anglo identity from parents or grandparents who lived outside the province. Anglophones are a linguistic community. Anglophones tend to be a transient population. Either they're born here and they leave, or they move here for a job, have kids, and their kids leave. It's tough to create identity politics when half the people don't really have an Anglo-Quebecker identity. So then how do Anglophones fight for their rights in Quebec? Chuck all the talk about equality between English and French. That's identity politics. It does not work. People should have the freedom to run their businesses as they see fit, speak the language they want, and run the schools according to the wishes of the parents-- not bureaucrats or language activists. People should have the right to listen to any radio station in any language they want with any kind of music they want. No more imposed quotas, whether it be regarding French or CanCon. This is a discussion that is far more likely to attract listeners than WAAAHHH! THE PQ ARE A BUNCH OF NAZIS!!! The beauty of freedom is that freedom is for everyone. French people will just as likely benefit from freedom as English people. And that, my friends, is how Anglos begin to win their rights back.